Whether you have yellow teeth or yellow sheets, boy do we have the deals for you. • Pioneer KURO 50" 1080p Plasma HDTV for $1,949.99 plus free shipping (normally $2,399.99). • Zenith 32" 720p LCD HDTV for $449 plus free shipping (normally $699). 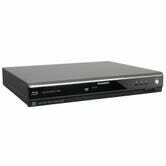 • Sylvania NB500SL9 1080p Blu-ray Player for $l89.98 plus free shipping (normally $229). • AOC 22" Widescreen LCD Monitor for $149.99 (normally $199.99). • Fallout 3: Collector's Edition for $49.90 (normally $69.99). • Xbox 360 Pro 20GB Refurbished for $169.99 (normally $199.99). • The Godfather Trilogy - The Coppola Restoration [Blu-Ray] for $58.99 plus free shipping (normally $99.99). • The Woody Allen Collection, Sets 1-3 for $89.99 plus free shipping (normally $104.99). • Lost In Space, Seasons 1-3 for $94.99 plus free shipping (normally $129.99). • Omnitech 8.5" Digital Picture Frame for $49.99 (normally $69.99. Use rebate form). • CENTON moVex 2GB MP3 player for $14.99 plus free shipping (normally $29.99). • Movie On Demand for $0 (Must be a DISH Network subscriber. Valid through 4/30).